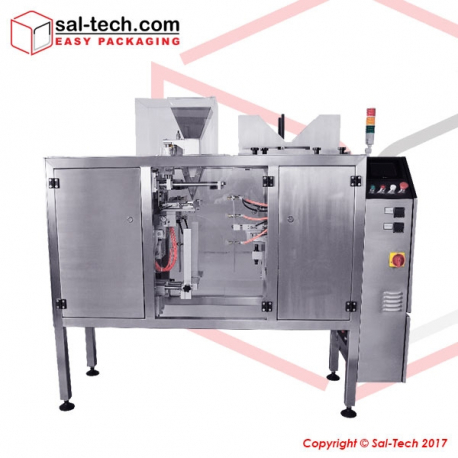 An innovative bagging machine of bags, these set of intricate, yet compact designed packaging machine is most suitable for packing items such as grains, nuts, powder, liquid, sauces, pet food, coffee bean, candy, coffee powder, flour and many more. 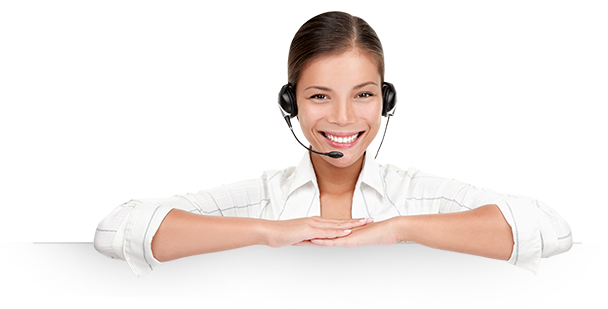 Packaging goods and sealing several kinds of bags such as, Standup Bag, 3 Side Seal Bag, Flat Bottom Bag / Boxpouch, Side Gusset Bag Types. Securing a fresh and quality produce that equally promotes efficiency and effectivity in the manufacturing plant. DoyBagger Packing Machine There are 6 products. 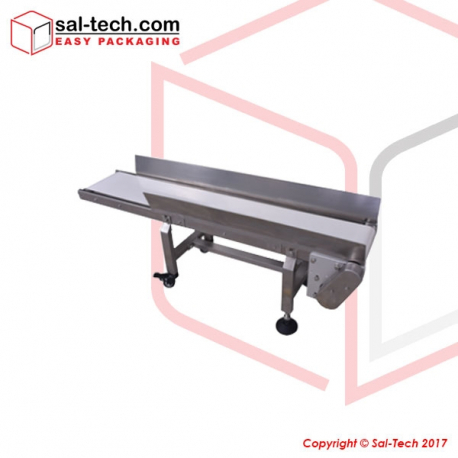 A conveyor made specifically for maximum optimization of the automatic DB-200 seed packing machine. STEP DB-200 is a compact driven design made for packing and weighing vegetables seeds, flower seeds, and many more. Type of bag appropriate for the STEP DB-200 is either a 3-Side Seal bag (flat) or a Stand-Up bag. Engineered to handle liquid, pet foods, nuts, candies, grains, powder and more. 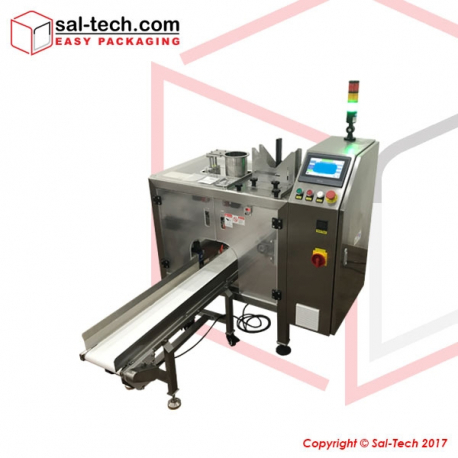 This automatic bag sealer cultivates excellent quality packaging solution for both food and non-food industry. Suitable for side gusset bags with width (gusset width) less than or equal to 50mm. 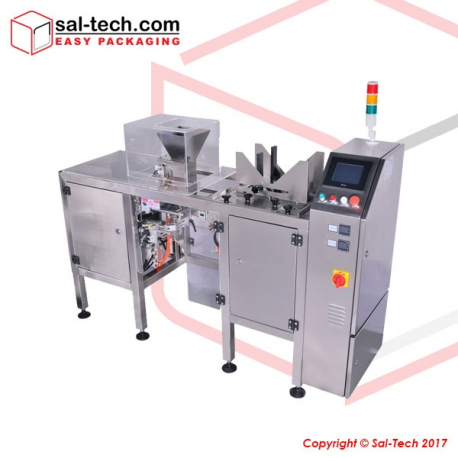 A laminated bag sealing machine packing 30 bags per minute. 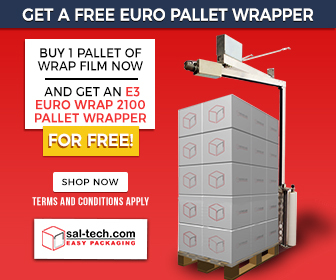 A perfect choice for numerous packing requirements. Automatic and equipped with PLC Control panel for simple operation. STEP DB-430 is an automatic bag sealer for food and non-food products, securing freshness and quality of goods. This equipment is user-friendly with its PLC Control system, refining your production rate. STEP DB-300 is a machine choice suitable for zip and non-zip 3 side seal bags, zip and non-zip stand up bag, and a flat bottom pouch. 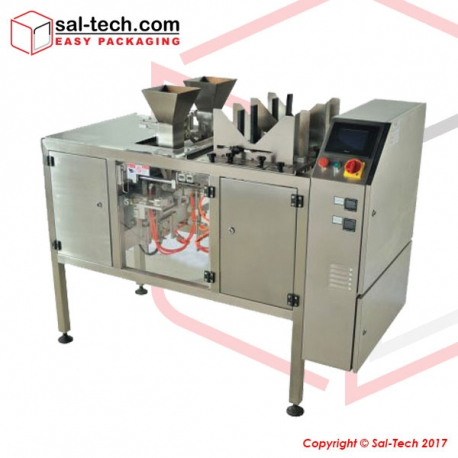 Engineered for locking dry and liquid type products, this tool promotes neatly packaged goods with high level of quality. Not to mention, this is an automatic equipment that is easy to operate.